7th ranked Politburo Standing Committee member. Career: A career served in Shanghai, during which he served under Xi Jinping and was Party Secretary of Shanghai 2012 – 2017. Prospects: Considered a member of the “Shanghai Clique”, but also seen as loyal to Hu Jintao when scandal engulfed Shanghai in 2006. Relevance to Tibet: One of China’s most senior leaders. Appointed Executive Vice Premier in March 2018. Han Zheng worked as a labourer in a warehouse in the latter years of the Cultural Revolution and subsequently held administrative, and then Party, roles at chemical equipment company, a chemical engineering college and at the Shanghai Rubber Shoe Factory. His Party career has primarily been served in Shanghai; joining the leadership of the Communist Youth League in Shanghai in the early 1990s and holding a number of district roles, in which he was responsible for economic issues. He was promoted to the Shanghai municipal government in the late 1990s, rising from deputy Mayor in 1998 to deputy Party Secretary in 2002 and then Mayor; a position he held between 2003 and 2012. 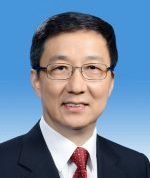 He was briefly named acting Party Secretary between 2006 and 2007 when his predecessor Chen Liangyu was arrested for financial scandal involving the city’s pension fund. During this time, in support of Hu Jintao, Han Zheng led a municipal task force to address corruption in Shanghai, but in March 2007 Xi Jinping was appointed Party Secretary over his head. When Xi Jinping joined the Politburo Standing Committee in 2012, Han Zheng was finally promoted to Party Secretary of Shanghai, and he joined the 18th Politburo the same year. He is, as of October 2017, the 7th ranked member of the 19th Politburo Standing Committee.